WILLEMSTAD – Early Wednesday morning the National Investigation Team Curaçao conducted three raids on the island namely at the houses of the former Prime Minister of Curaçao and current Member of Parliament for MFK, Gerrit Schotte, former Minister of Traffic, Transport and Spatial Planning, Charles Cooper and businessman G. Ricardo (owner of Antillean Billboards). 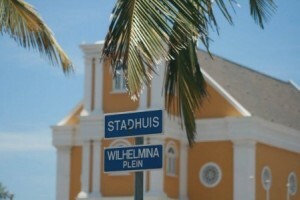 The Public Prosecution named the investigation ‘Wilhelmina’. The raids on all three addresses took place in the presence of a magistrate (RC) and a prosecutor (DA) of the Public Prosecution (OM). The reason for the investigation was the complaint filed by the Member of Parliament Yael Plet on February 18, 2017. The investigation also addresses the bribery of another Member of Parliament. For now, two people in this case are regarded as suspects, they have been informed about this on Wednesday. The National Investigation Team Curaçao interrogated several witnesses in the political sphere. During the house searches, computers, phones, money and documents were seized for further investigation. During one of the searches, money laundering was added to the list. Arrests or other searches in this investigation have not been excluded by the Public Prosecutor. The National Investigation Team is an investigative body with a special task. It focuses more on investigating behaviors that undermine the integrity of public administration. The investigation team only investigates when they receive special instructions from the Attorney General. Corruption, including bribery of Members of Parliament, poses a serious threat to the rule of law. It undermines the democratic process and destroys the citizens’ trust in their elected representatives. The National Investigation Curaçao and the Public Prosecutor (OM) Curaçao also give priority to investigations into such forms of corruption.